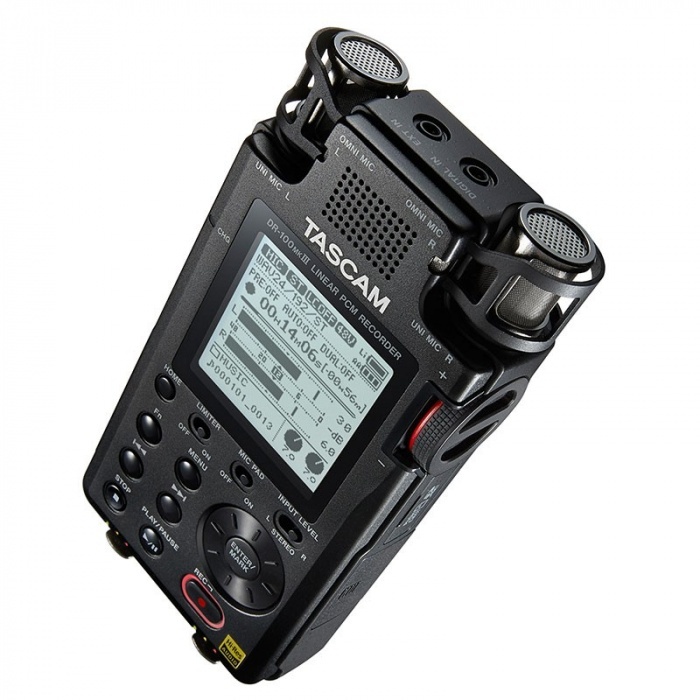 The Tascam DR-100 MK3 is a linear PCM recorder which supports 24-bit/192 kHz recording resolution and is able to record MP3 and WAV files—even at the same time, in dual-recording mode. A different dual-recording mode allows you to record a lower-level safety track in case the initial recording clips, and XRI mode will write the settings used to record the track within the file itself; recorder, mics, level, low-cut filter implementation, limiter, and pad will be represented therein, making your editor's or post-production engineer's life a lot easier. The recorder utilizes AKM AK4558 converters, offers a 109 dB signal-to-noise ratio, sports a temperature-compensated clock, and includes a built-in limiter, variable low-cut filter, and pad. 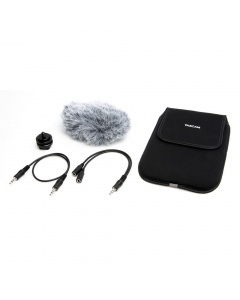 The built-in mic operates in an A/B pattern, and two combination jacks with low-noise HDDA mic preamps can accept XLR and 1/4" terminations. 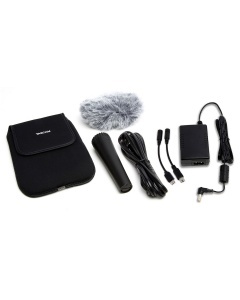 This unit records to SDXC cards up to 128GB in size, and runs on a combination of a rechargeable lithium-ion battery and AA batteries, allowing you to swap the disposable power supply while recording without disrupting the process of capturing audio.